2015 ARNOLD SPORTS FESTIVAL: 6 Booths To Visit At The 2015 Arnold Sports Festival Expo! Your favorite celebrities, brands, athletes, and thousands of swag-bag gathering fans come together at one of the biggest expos in the world. The Arnold Sports Festival in Columbus, Ohio, will be the largest fitness event of 2015! More than 50 sports will be showcased over the weekend, and bodybuilding events will dominate the stage. But the biggest draw of the festival pulls in more than 100,000 fans from all over the planet. You gotta go to the Expo, bro! The Arnold Expo brings websites, magazines, and supplement companies to life. Movie stars, athletes, celebrities, bodybuilding legends, and fitness personalities gather under the same roof for this signature exposition. 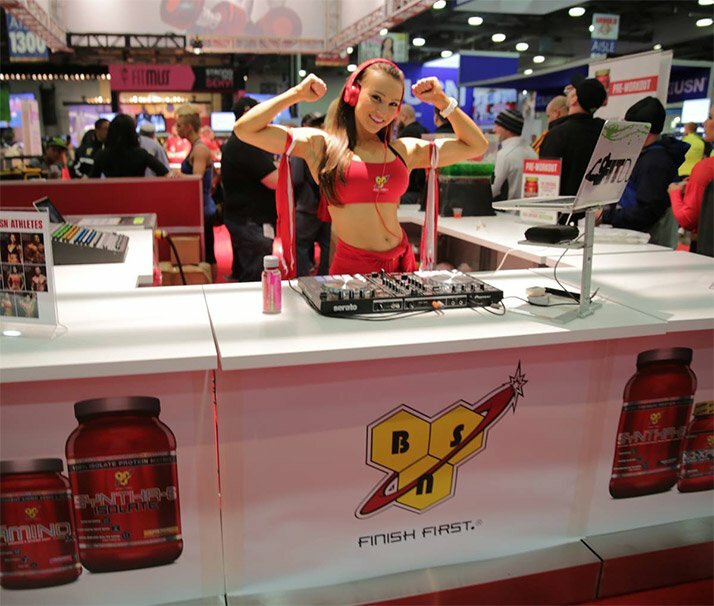 More than 900 booths stand ready, manned by many of the top supplement company reps and spokesmodels. They are all stacked and ready to show off and share samples of their newest products. They&apos;ll hook you up with swag bags and sample packs so you can decide which products you like best. Enjoy it! Here are a few of the hot spots to visit before you leave town! 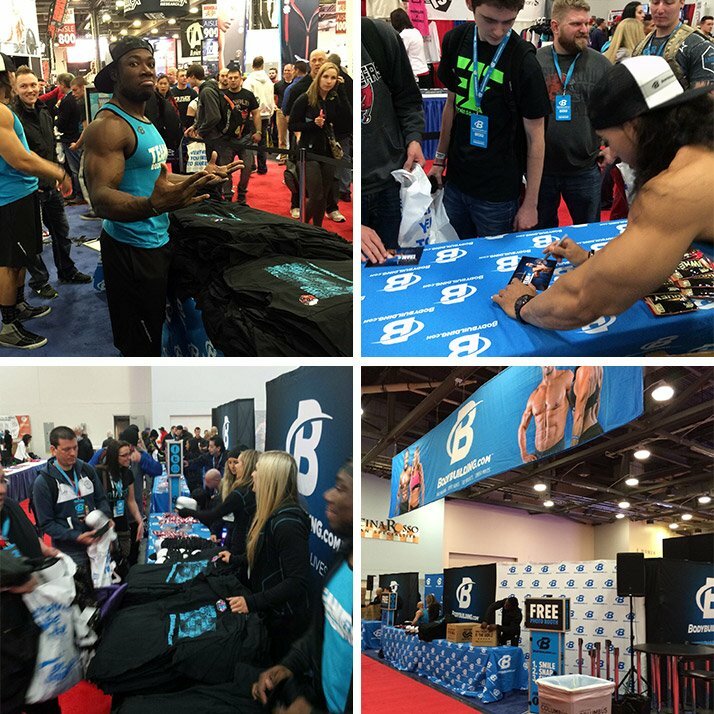 Bodybuilding.com always has one of the most popular booths, and 2015 will be no different. The line may be long, but you&apos;ll be glad you toughed it out! Celebrities and fitness stars will stop by throughout the weekend. Industry icon Jamie Eason—who just launched her Post-Pregnancy Trainer—will be there for pictures. Shake hands with eight-time Mr. Olympia Ronnie Coleman! Reigning Ms. Figure Olympia Nicole Wilkins and IFBB physique pro Steve Cook will be there as well. World-renowned experts like Drs. Jim Stoppani and Jacob Wilson join the who&apos;s who of the fitness industry at this massive booth. You&apos;ll also have a chance to meet Team Bodybuilding.com superstars: Ashley Horner, Kathleen Tesori, Nick Scott, Kizzito Ejam, Brian Casad, Jerome "Hollywood" Ferguson, and several new faces, including this year&apos;s BodySpace Spokesmodel finalists! You&apos;ll also have a chance to meet some Team Bodybuilding.com superstars. The Animal Cage has become the most popular booth at the Arnold Expo! This booth is almost as badass as the members of Team Animal themselves. 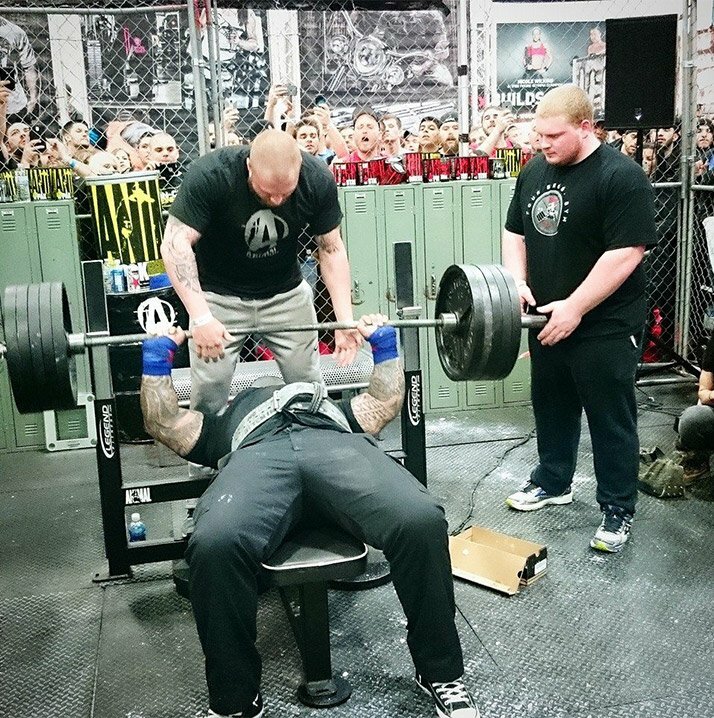 The camaraderie and motivation you get from being around this heavyweight, primordial, adrenaline-lined cage will leave you hungry for the bench press. If you like killer powerlifting, and like to see big dudes lifting serious iron, then this is the spot you need to check out. See guys like Dan Green and Derek Poundstone go head-to-head in the Deadlift Showdown. Get in on the action yourself with the Bench Your Bodyweight competition—it starts at the beginning of all three days. The booth also headlines studs like Brandon Lilly, Derek Kendall, Kevin Oak, Sam Byrd, and several more animals destined to pull, squat, and press massive weight. The Animal Cage has become the most popular booth at the Arnold Expo! BPI Sports and Cutler Nutrition will have booths side by side this year! Four-time Mr. Olympia Jay Cutler will be at the helm of the BPI flagship. He&apos;ll meet with fans all weekend long. As if a bodybuilding legend weren&apos;t enough, the BPI booth will try to contain pro wrestling legend Hulk Hogan. Hogan is a WWE Hall of Famer and BPI&apos;s newest athlete. The Hulk will be in attendance to meet fans and customers on Saturday. Whatcha gonna do when Hogan runs wild on the Arnold Expo, brother? Of course, BPI&apos;s booth will be manned by several other members of the BPI Crew handing out samples and answering questions about this growing brand. The crew hanging out at the BSN booth will keep you busy for a while! Bodybuilding fans can meet the three-time Olympia 212 champion Flex Lewis and fellow IFBB pros Dallas McCarver and Ryan Hughes. If you&apos;re a fan of the ladies&apos; side of the industry, you can meet bikini pro Amanda Latona and intermittent-fasting expert Dr. Sara Solomon. Model Scott Herman and recent BodySpace Spokesmodel contest winner Kristina Olson round out the list of celebrities who will meet and greet BSN fans—and pass out product samples, of course. The crew hanging out at the BSN Booth will keep you busy for a while! As you approach this booth, don&apos;t be surprised if you start hearing a familiar voice shouting out, "I command you to grow!" CT Fletcher, aka the "Superman from Compton" will be hanging out, meeting iron addicts, and reminding all of you who dare pass by that it&apos;s "still your motherfucking set!" Fletcher will be joined by other members of the iSatori team to help distribute swag and advice in full force. This is a booth you probably weren&apos;t expecting, but you gotta trust me on this one. The Expo brings in more than bodybuilding and fitness. The industry is increasingly pursuing the mainstream sports, athletics, and performance fans. 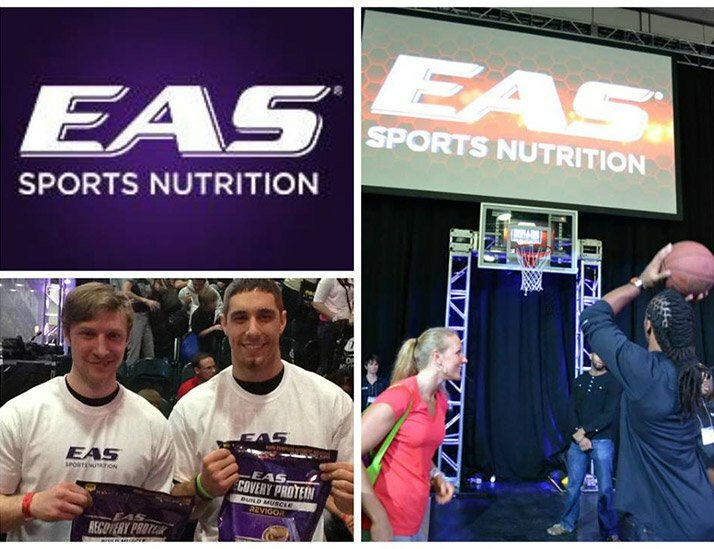 Team EAS will have several sports and fitness challenges like a pull-up contest and soccer challenge. They&apos;ll surely hand out EAS samples and swag. You can also meet NFL superstars Larry Fitzgerald, DeMarco Murray, and Eric Ebron. They&apos;ll be doing live interviews from the booth, meeting fans, and taking part in the events and challenges! The Expo brings in more than bodybuilding and fitness. Check out exhibits and booths, then catch some of the competitions at the Stage for free since you&apos;re already in the Expo.